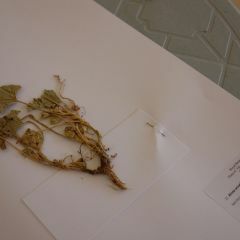 The National Herbarium of Jordan launched the National Virtual Herbarium (NVH) on January 12, 2012, to allow online consultation of specimens from all of Jordan's herbaria. More than 2,700 specimens are now available onscreen at the NVH, and specimens will continue to be added until the entire flora of Jordan is represented. The mission of the National Herbarium at the Royal Botanic Garden is to provide institutions, scientists, students and other interested parties with a collection of high-quality herbarium specimens for all the flora of Jordan. The National Herbarium of Jordan will preserve important native specimens and relevant material, and make the specimens available throughout the country. Our vision is to become the leading herbarium in the region, with the highest international standards.